"Jesus loves me -- this I know, for the Bible tells me so." This is a childish error? No problem, Schleiermacher responded -- we can still salvage spiritual and moral value out of Christianity while jettisoning its troublesome doctrinal claims, supernatural structure, and dependence upon the Bible. He was certain that his strategy would "save" Christianity from irrelevance. His ambition, in other words, was apologetic at its core -- to defend Christianity against claims of its eclipse. The formula offered by theological liberals is the same now. Save what you can of Christianity by surrendering truth claims. Acknowledge the inevitable hostility that these doctrines face in the modern age and adjust the faith accordingly. No theological liberal declares himself the enemy of Christianity. To the contrary, he offers liberalism as the only means of avoiding Christianity's demise in a secular age. Of course, the "Christianity" that remains after this doctrinal surgery bears little resemblance to biblical Christianity and, as Scripture makes abundantly clear, it cannot save. Let's be clear -- Andy Stanley does not mean to deny the central truth claims of Christianity. In his message, "Who Needs God? The Bible Told Me So," he affirms the bodily resurrection of Jesus Christ from the dead. But he does so while undercutting our only means of knowing of Christ and his resurrection from the dead -- the Bible. And he does so directly and without risk of misunderstanding. In his message he stated: "So I need you to listen really carefully and the reason is this -- perhaps you were taught, as I was taught, 'Jesus love me, this I know, for the Bible tells me so.' That is where our trouble began." Stanley's apologetic concern is clear from the beginning of this message. He identifies the crisis of "de-conversion" as adults leave the church because they have outgrown their child-like faith and no longer believe. He traces their de-conversion to the fact that their adult, "fact-based" questions were met with only childish, "faith-based" answers. He goes on to say that the "the Bible told me so" is "one of the threads we hear in de-conversion stories all the time, and I have a feeling for many, many, many of you who are losing faith or have lost faith, especially in the Christian faith, this is a bit of the part of your story." Later, he follows by dismissing a "the Bible says it, that settles it" approach to Christianity. "The problem with that is this: if the Bible goes, so goes our faith." At this point, Stanley goes on to amplify his concern with a Bible-based Christianity. "If the Bible is the foundation of your faith, here's the problem: it is all or nothing. Christianity becomes a fragile, house of cards religion." And, as he states boldly, "it is next to impossible to defend the entire Bible." In short order, Stanley argues that claiming infallibility for the entire Bible is a losing project. Furthermore, he argues that Christianity "made its greatest strides during the 282 years before the Bible even existed." Indeed, the early church provides abundant evidence of the "for the Bible tells me so" dependence upon Scripture, even if the earliest Christians did not yet have the collected New Testament. In 1 Corinthians 15, Paul grounds both the crucifixion and the resurrection of Christ as "according to the Scriptures." Perhaps the oddest part of Andy Stanley's approach to defending the resurrection is his insistence that we have some access to historically verifiable accounts of the resurrection outside of the New Testament. He rests his confidence in recent historiographical work by apologists who defend the historicity of the resurrection by affirming historical sources that are prior to Matthew, Mark, Luke, and John. Stanley seems to base the defense of the resurrection in historical traditions he claims are prior to the gospels, but the Holy Spirit gave the church the four gospels, and the entire New Testament, as verbally inspired, authoritative, and infallible revelation. All of Scripture -- the Old Testament and the New Testament -- was given to the church so that we would know the rule of faith and everything revealed therein. This is the evangelical Scripture principle, and it is precisely what the Reformers defended as sola Scriptura. And what is our alternative? Are we to believe that those who are "de-converting" from Christianity can be weaned off of the Bible and on to some other sufficient authority? But Jesus actually pointed to the Old Testament and demonstrated the very approach to the truthfulness and authority of the Bible that Stanley identifies as the problem. When Jesus pointed to the Old Testament and said "these are they that testify of me" (John 5:39), he was effectively saying, "for the Bible tells me so." We are back with Friedrich Schleiermacher, trying to convince the "de-converted" of his day that Christianity can be retained as an intellectually defensible morality and spirituality without its central truth claims and doctrines. In the end, we simply have no place to go other than the Bible as God's authoritative revelation. Christ, not the Bible, is the foundation of our faith -- but our only authoritative and infallible source of knowledge about Christ is the Bible. "Jesus loves me -- this I know, for the Bible tells me so." A mature Christian faith will say more than that, not less than that. 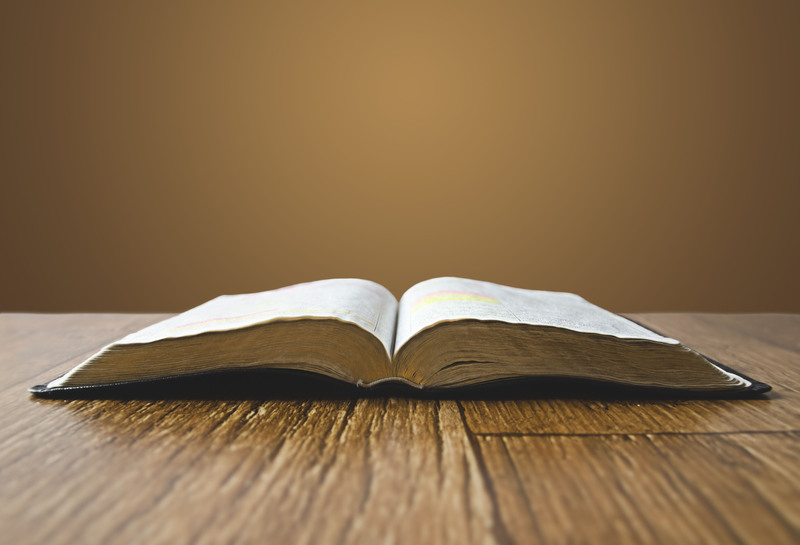 "For the Bible tells me so" does not mean that we do not have reasoned answers to difficult questions, but it does mean that we admit our dependence upon Scripture -- and that we confess that God intended for us to be dependent on Scripture. "For the Bible tells me so" is not "where our trouble began." To the contrary, it is right where God wants us.